Linked below are two blog posts that helped me find some of the technologies and workflows that contributed to my success and inspired me to write this post. 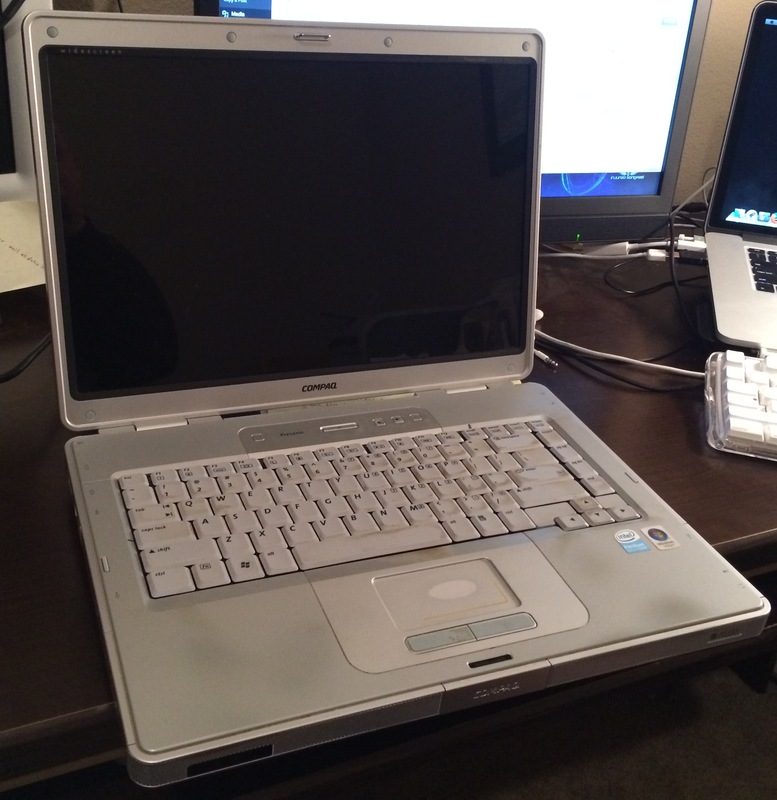 Throughout my Master’s program I used an old Compaq laptop C500 (before they were bought out by HP!). It was sufficient for my needs albeit a little slow and having 0% battery life after 6+ years. As I progressed through the program, it became impossible to change computers as it would completely disrupt my digital flow. I decided to stick it out and just make it through writing my thesis and if I was accepted into the only PhD program I applied to, I would treat myself to a new computer (see below for what I chose as a replacement). The software and digital workflow that I used with this laptop is nearly identical to what I installed and use on my new laptop, so I will only detail the current technology. Besides, when I bought my new laptop after I completed my thesis, I wrote down everything that I installed (and the order of installation) as would be needed for my PhD program. As a wise man at my work once said, a PC is half a computer (I’ll explain this below). After much deliberation, I decided to switch to Mac. 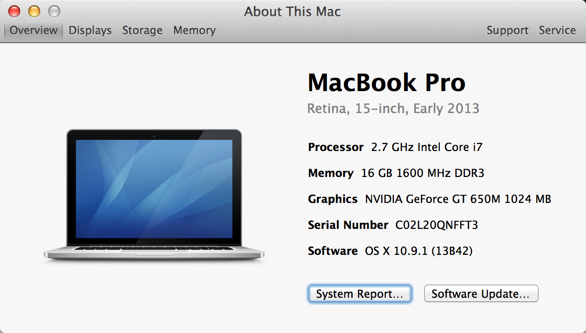 For too many reasons to list here, I decided to purchase a new Macbook Pro 15″ with Retina. I knew that this laptop would have to last me through the entire PhD program, which can last around 6 years, so I spared no expense and got the best model I could afford. Logitech wireless mouse M510 and corresponding software (Logitech Unifying Software app). NOTE: I have since purchased the older model M9034LL because I like the larger keys. Roboform password manager: I don’t think I would be as efficient navigating the Internet and all the websites I need for school and work if I didn’t use this program. It saves me so much time not only storing passwords, but also form field data as well. Zotero: This is the single most important software that I use. As others have written (including the first blog I linked to above), this is an amazing program that saves, organizes, and helps you to cite and format your paper’s citations. Truthfully, I don’t think I would have had the success I’ve had academically were it not for Zotero. When I first started my Master’s program, I researched citation managers but didn’t know which one to choose. I saved my citations to a Notepad document at first, and I remember taking as much time formatting and adding citations in my first few papers than it did take to write them. I knew that this would not work so I took some serious time to pick one, and I chose Zotero. I am more than happy–it not only saves my citations from any source and inserts them into my documents (and creates any Style Bibliography that you need), but has immensely helped to organize my thoughts and help me to retrieve that perfect source when it is needed through its tagging feature. NOTE: I was offered a free subscription to RefWorks through ProQuest after submitting my thesis, but I still opted to stay with Zotero. Apple Migration Assistant: Transferred all the files from my Compaq laptop to my Macbook. NOTE: I waited to perform the migration until after the initial setup and I wish I had not. By waiting, I had to create a second User profile and migrate the data there, and then transfer it to my Owner profile. Dropbox: I am yet to suffer from any catastrophic data losses (knock on wood), but using Dropbox for syncing documents across devices is another imperative technology in my digital workflow.I save all of my academic files in a Dropbox folder so I can access them from my Macbook, my iPad, my iPhone, and any web browser. Particularly, after saving the citation to Zotero, I download and save all PDFs of academic journal articles (or save webpages as PDF) to the Dropbox folder so I can annotate them. I can access these PDFs using a PDF reader (see #9 below) on my iPad that allows me to read and annotate while away from home (which is often, as I work full-time, I find time to read and annotate journal articles before and after work). When I get home, the updated file is waiting for me on my Macbook. PDF Expert: Once again, I researched many different PDF annotation apps, after I decided on PDF Expert. I don’t remember the other finalist but I remember the final decision came down to who answered my support question the fastest on Twitter. Readdle offers great support for this product. It is great for organizing, searching, reading, and annotating PDFs on an iPad or iPhone and syncs directly with my Dropbox account. Google Drive: I primarily use the free storage as backup to my primary Dropbox folders. Kindle app for Mac: I prefer to purchase any books or textbooks through Kindle so I can read and annotate them on my Macbook and iPad. I prefer Kindle to Google Books because I have found that Kindle allows selecting and copying text more than Google–this is useful when compiling notes or quoting the text in a paper. With Google Books, I have to transcribe the text, which is time-consuming and frustrating. Google Books: I use this for texts that aren’t available as PDF or on Kindle. Skype for Mac: This has been the most reliable method for face-to-face conferences. I’ve tried Google Hangouts but the connection is always poor. If someone in a group has the Skype Premium, everyone can be on with video and chat, and it is quite good. Parallels for Mac, Windows 7 Ultimate: This is why a PC is only half a computer. My Macbook runs both OS X Yosemite AND Windows 7 simultaneously. I can continue to use all of the Windows products that I prefer, while taking advantage of the stable OS and amazing hardware of the Mac. This is a win-win with no downside. With a little tweaking of the settings for my use, I am very satisfied running both OSs, and I do so the entire time I use my Macbook. Snagit for Mac: As a technical writer and technical communication graduate student, I take a lot of screen shots for procedures and documentation (even at home) and because I use Snagit for Windows at work, I went with it for my Macbook as well. First I tried transferring my license to my Windows 7 on Parallels, but Snagit can’t take screenshots on my Macbook with Retina from the Parallels. This is unfortunate because the Windows version of Snagit is so great, but I’ve generally found the Mac version difficult to use and lacking the same features that I use and like so much from the Windows version. I use it because it gets me by and I don’t think I need to look for a different program at this time. Adobe: I had Adobe Acrobat X Pro installed on my PC and I was able to transfer the license (with some difficulty as Adobe doesn’t make it easy) to my Windows 7 on Parallels. I set .pdf documents to open to the Parallels Adobe Acrobat X Pro, and it is seamless. Office Pro 2013 for Window: I primarily use MS Word with the Zotero add-in for writing papers. I also have MS Office for Mac installed and I do use it from time to time (e.g., some features in Excel and Powerpoint are easier to use in the Mac version) but I have found the Windows version to be much more efficient for writing and formatting long academic documents (100’s of pages). Jettison app: This app automatically ejects “disks” when you shut down your Mac. This is important if you have a backup hard drive, USB stick, and other disk drives plugged into your Mac, as I always do. It is a good time saver. BetterSnap Tool: Similar to Windows 7, this allows you to drag your OS X windows to the top, bottom, right, or left of the screen and expand. I don’t know why OS X makes it so difficult to resize windows, and this tool really helps organize my windows on my dual screens. A time saver. That’s it. I try to keep my computer as lean as possible and only use it for school, work, and professional development–basically, all things techcomm. I hope this helps someone who is starting an academic program as these tools and processes have helped me. I really attribute a lot to these for my academic successes. Thank you for this post! I just started an EdD program and I have been researching how to best organize my workflow. I am transitioning from being “old school” in printing out everything to now using an iPad to read and annotate PDFs. I currently use PDF Expert on my iPad and sync it with a couple of Dropbox folders. I have Unread, Read, and Notes folders. As I search, everything goes into the Unread folder. One I read and annotate the PDF, I move it into the Read folder. Once I write my notes for the articles, I move it into the Notes folder. This setup works quite well for this. What I am struggling to figure out is what to do next in terms of a citation management system. I tried Mendeley, but do not like that the annotation feature does not work on the iPad. I’m looking at how to use ProQuest Flow with the iPad. It also can sync with Dropbox. I’m hoping I can annotate with PDF Expert, save into Dropbox, and have it sync with ProQuest Flow. Are you currently using the same workflow as before? Have you used ProQuest Flow?